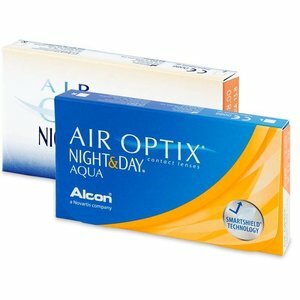 Air Optix Aqua Night & Day - 3 lenses - Weblens - Your Contactlenses Online ! Day and night you wear lenses without loss of comfort. These lenses allow up to 6x more oxygen. Now equipped with the Aqua layer, provides even more comfort. Wearing monthly lenses is very interesting in terms of price / quality ratio for people who wear lenses almost every day. Air Optix Night & Day can even behave day and night, with the advantage that you do not even need maintenance products. AIR OPTIX NIGHT & DAY AQUA contact lenses represent a true revolution in lens technology. These lenses are made of a silicon-containing material. 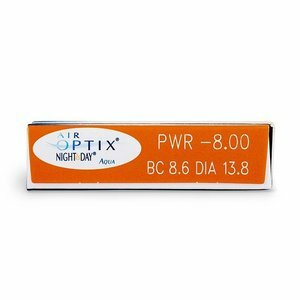 The material (lens polymer) from which AIR OPTIX NIGHT & DAY AQUA lenses are manufactured, is the most oxygen-permeable of all soft lenses currently on the market and can transmit up to 6 times more oxygen than regular soft lenses. AIR OPTIX NIGHT & DAY AQUA lenses can therefore also be worn safely at night, because the eye can just continue to breathe ?, as if there is no lens on it. AIR OPTIX NIGHT & DAY AQUA lenses let you simply forget in this way that you need a vision correction. However, since other factors are important if you want to wear these lenses on a permanent basis, you should first consult with your contact lens specialist. He can tell you whether your eyes are suitable or not. 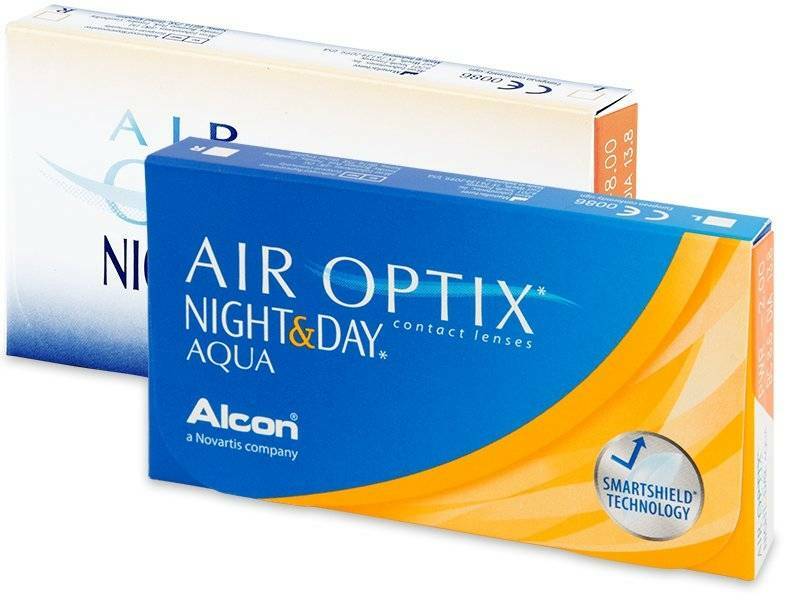 Even for those who do not need a permanent correction, AIR OPTIX NIGHT & DAY AQUA can be a better solution: these lenses are ideal for those who regularly suffer from drier eyes. The material contains very little water (only 24%, while the most commonly used monthly lenses usually contain around 50% water) and the lens does not dry out. 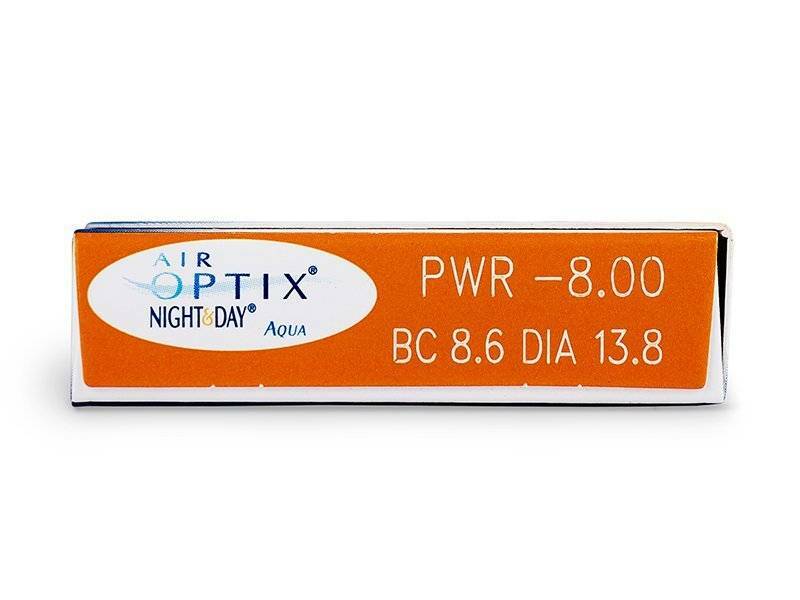 Even those who regularly struggle with red eyes can opt for AIR OPTIX NIGHT & DAY AQUA. Usually, after a few days, there is already a clear improvement.